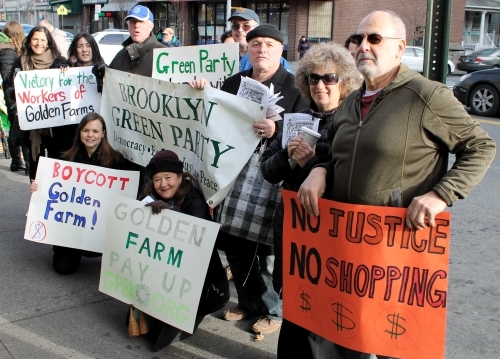 This entry was posted in Actions, Green Politics, Media and tagged golden farm, gpbk, Labor, occupy kensington, photos, wage theft on January 20, 2013 by Michael ONeil. Shot and edited by yours truly. The NY Communities for Change organizer liked my chants! Photos coming soon. This entry was posted in Actions, Green Politics and tagged golden farm, gpbk, Labor, occupy kensington, video, wage theft on January 19, 2013 by Michael ONeil.